OMG’s performance marketing agency, Resolution Media, has won Google’s agency of the year award. Resolution has been awarded the Agency of the Year Award in Google’s prestigious Honours program. The awards recognise the achievements of the very best Search and YouTube marketing agencies and providers across Australia and New Zealand — and more than 60 companies entered the competition in this, it’s second year. 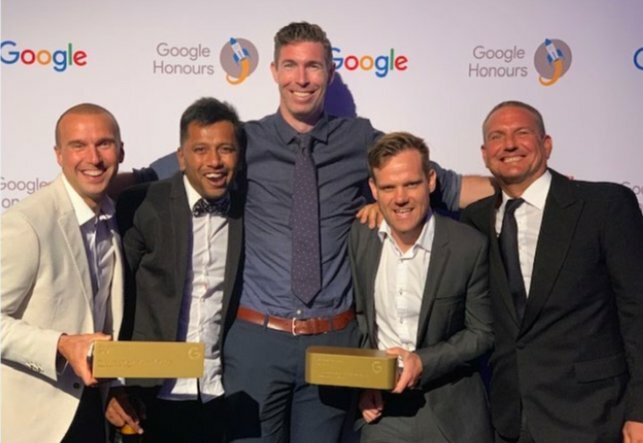 Resolution, which offers end-to-end digital services to over 70+ of the biggest brands in Australia, was awarded both the Performance Agency of the Year and the YouTube Agency of the Year. “We are thrilled to receive two such prestigious awards” said Des Odell, CEO of Resolution Australia. “This shows that we have the teams and the processes in place to deliver amazing results for our clients”. In addition, one of Resolution’s key team members, Hamish Bland, took home the Rockstar of the Year, an award which recognises best in class work from individual employees. “I am thrilled and relived to receive the award after many nominations without a win!” commented Hamish Bland. “I’m proud of the performance improvements the team has made this year through testing and learning many different Google search products. The winning agency will receive a summit for their team at the home of Search, Mountain View, California.